The smartest way to shop online is here - the buyhatke browser add on. 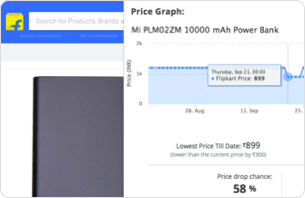 Buyhatke is a price comparison portal that promises ecstatic shopping experience, along with providing money-saving deals on your favorite products. As an online shopper, you go through multiple layers of researching and filtering the products, before you actually reach on to what you like the most. And then finally when you find that product, you are not sure which would be the best deals and offers that can help you save money on your purchase. At Buyhatke, our goal is to help you find the best price of your favorite product. We eliminate all those cumbersome steps where you do layers of researching and filtering. We do all the hard work for you, find the best products, look for the best deals and offers, apply the promo codes and do everything that can make your shopping experience relaxing and fun-filled. Our dynamic product and price discovery platform turns this entire process into one simple search. Our website dynamically grabs all the results from different shopping portals and gets you the best deals. If you find the deal interesting, you get redirected to the shopping portal, so that you can purchase your favorite product. You can also download our Chrome Extension and get notified of when the products are cheaper in stores or when there is a price drop on your favorite product. 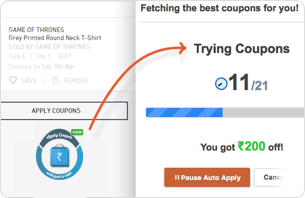 The best part is that this chrome extension applies coupons automatically on your favorites, so you can just sit back and relax while shopping. With more than 25 million products and 1000+ brands on our website, we function as the gateway to all the e-commerce portals. 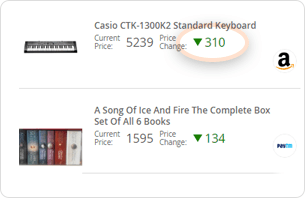 We use intelligent search techniques to compare prices in India for different products to get you the best of all deals. We always take your preferences in account and ensure that no misguided prices or results are presented to the customers. 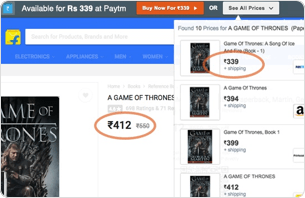 So, never miss a deal or a price drop on your favorite product with Buyhatke. Just download our chrome extension and buy your favorite products at best prices without any efforts. Keep visiting us to know more about the latest products and launches from different brands.